The Boxy Tote has pockets all the way around all the way around on the inside! 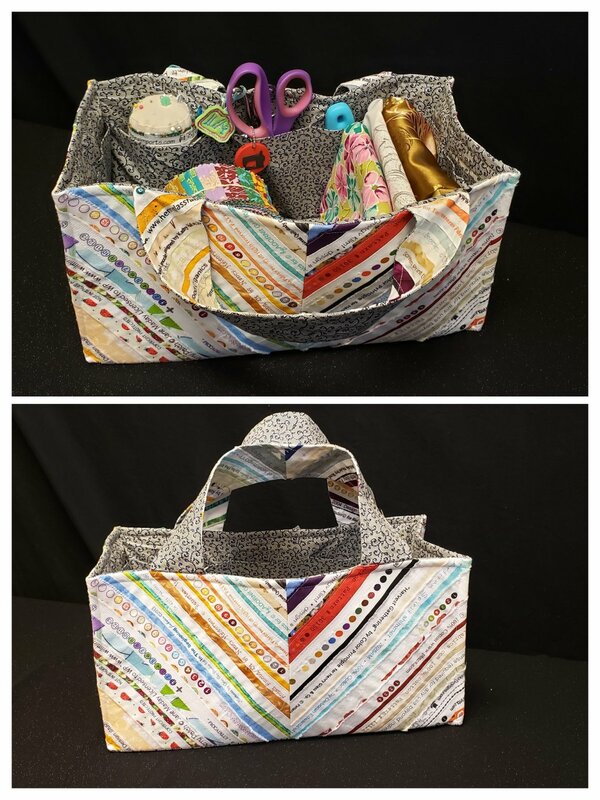 There are other uses for this versatile tote--many many things fit inside this taller Boxy Tote. The tote carries comfortable and it great for traveling or classes. Must have basic knowledge of how to sew and thread your machine. Must have a bag full of selvages.